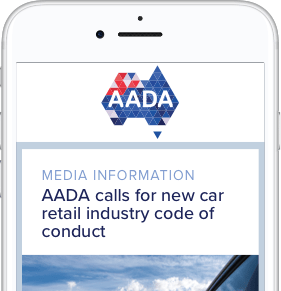 The Australian Competition and Consumer Commission (ACCC) has written to the AADA and a number of our members requesting assistance in distributing a new car fact sheet for consumers. The new car fact sheet has been developed to assist buyers of new cars to understand their ‘consumer guarantee’ rights under the Australian Consumer Law. The ACCC expects that as a matter of industry best practice, a copy of the new car fact sheet should be provided by suppliers of new cars to every consumer at the point of sale as part of the ‘deal jacket’ or other written materials provided to consumers at the time of purchase. The AADA has been consulted on the fact sheet, which explains the consumers’ existing rights under the ACL. We have made a commitment to the ACCC that we would assist in communicating the ACCC’s expectations to our members and providing our members with a link to the guide via our communication channels. David Salisbury, General Manager Consumer and Small Business Strategies, at the ACCC will address the AADA convention today to ask for the assistance of new car Dealers in providing the guide to consumers. The fact sheet comes after the ACCC conducted an 18-month market study into the new car retailing industry. One of the outcomes of the report was a commitment by the ACCC to work with Manufacturers and Dealers to develop a concise and simple explanation of consumer guarantees and their interaction with warranties, which should, as industry best practice, be provided to consumers at the point of sale of a new car. The ACCC and other consumer law regulators have also released an updated version of the Motor vehicle sales and repairs guide. This updated guide has been designed for use by Dealers and other businesses within the industry. Stay up to date with Automotive Dealer policy and advocacy activity, news and events across Australia by signing up to our newsletters.